Are you in need of drain cleaning or repair? People all over the country make phone calls to plumbers every day because they experience issues with their drains. Fortunately, the best drain cleaning company in San Diego is always available to unclog any drains that you have issues with. There is nothing quite as annoying as a clogged drain, especially when even the strongest drain cleaning liquids you can buy at your local hardware store seem to be having no effect whatsoever. If you are having issues with a drain that simply will not behave and do what it was designed to do, it may be time to call in the professionals. Schedule your drain cleaning appointment with our top-quality San Diego plumbers today by calling (619) 345-5550. We are happy to troubleshoot with you over the phone! Yes, it sounds like something out of a comic book, but a drain snake is actually a very basic plumbing tool. A drain snake (also known as a plumbing snake) is a long, flexible metal tube that is pushed up through the drain and through whatever is clogging up the drain, ensuring that the blockages is flushed (or removed) in order for the pipe to once more drain effectively. This works on everything from sinks and toilets, to tubs and washing machines. How Effective is a Drain Snake? 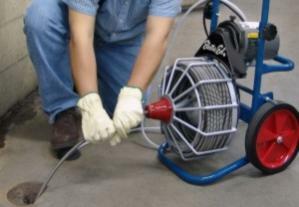 Chances are that the drain snake will take care of your drain blockage within a few minutes. Drain snakes are very effective because the drain snake can be manipulated by a crank that will either punch right through the blockages, or hook it so that can be pulled out, removing the cause of your blocked drain. However, depending on the nature of the blockage, it may be necessary to install a drain machine or other device that will prevent such blockages from occurring in the future. We will quickly and efficiently remove the cause of blockage and tell you in plain language just what it was that was causing the clogged drain and the best ways for that sort of blockage to occur in the future. If you have a clogged drain we will remove the blockage. No further action (such as installing drain machines) will be taken without your consultation and approval and only after we are satisfied that you completely understand what it is that we will be doing and how much it will cost. 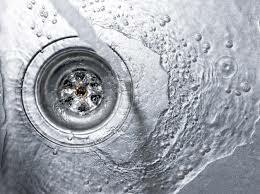 Clogged or backed up drains are some of the most frustrating and unpleasant plumbing problems that you might face. Even something as simple as a clogged toilet can cause disruptions in your home or business. Thankfully, our talented technicians at Plumbing and Drains Solutions have years of professional experience when it comes to cleaning drains in your residential or commercial space. There are a variety of traditional and advanced techniques we can use to tackle your toughest situations. Whether it is a naturally occurring clog or somebody’s favorite toy, our San Diego plumbing company can employ several sizes of drain cleaning machines and snakes to clear any clog. As San Diego drain cleaning specialists, we like to stay up with technology for a variety of reasons, the most important being that new plumbing technology enables us to come up with new and better ways to provide you with the excellent service that we are known for. When our modern drain cleaning system is combined with the technology of our cutting-edge iPad viewer, we can clean and unclog nearly any problem with ease and speed. Our ability as the best drain cleaning company in San Diego allows our technicians to accurately diagnose the drainage problem, inform you of what the problem is, and recommend the most viable, cost-effective, and long-term solution to meet your individual needs. Call us today for a plumbing service estimate from San Diego’s top rated plumbers. Contact Plumbing and Drains Solutions at (619) 345-5550. Our plumbers can provide you with free estimates and free second opinions! We serve customers throughout San Diego.